Regardless of what you see on your Facebook feed, Lowe's is not giving away $50 gift cards for Mothers' Day. Scammers are posting a fake coupon on Facebook for $50 off of merchandise at the home improvement stores to celebrate Mothers' Day. The coupon declares that the offer can be redeemed by any consumer. It's a nice sentiment, but it's all a gambit to steal consumers' personal information. In several posts on Facebook, Lowe's says consumers need to disregard it. "Please be careful when responding to any pop up ad either online or via social media; as, more often than not, the offer of gift cards or other prizes to customer’s in the guise of a specific company are set up to get your personal information for nefarious purposes," the company wrote. The phony coupon is a lure in a simple phishing scheme to persuade consumers to reveal information they shouldn't. Consumers who click on the coupon are asked to take a survey in order to get the $50 discount. If they click on the survey link, they go to a site that looks very much like it could be part of Lowe's website. It isn't. At the site, consumers are asked to enter personal information in order to use the coupon. That, in itself, should be a dead giveaway. Companies these days are very careful about the information they request from consumers. In addition to ignoring the coupon, consumers should be wary of other types of offers that show up on Facebook and appear to be too good to be true. 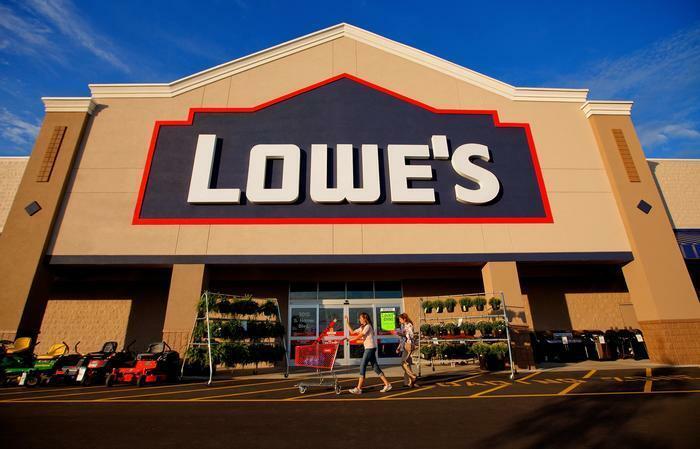 Here's how a savvy consumer could have figured out the Lowe's coupon wasn't for real. They first would have gone to Lowe's Facebook page and looked for the offer. Surely, if Lowe's was giving $50 off to every customer who walked through the door it would have been promoting it on Facebook. Had they also gone to Lowe's website, they would have also seen the coupon there. Of course, it wasn't in either place because it was a fake. Had they still not been convinced, they could have gone to Google News and searched "Lowe's Mothers' Day." They would then have seen numerous news stories warning that the $50 discount offer was a scam.